Are no-cost EMIs as attractive as they seem? Your heart entices you to buy; after all you lose nothing in a no-cost EMI. At the same time, your head tells you that there is nothing like a free lunch in economics. So, where is the catch? Equated monthly instalments (EMIs) have changed the way Indians shop. Today, everything from mobile phones to refrigerators, washing machines, LCD TVs, and even domestic and foreign holidays are available on EMI. One of the popular claims you get to see from retailers these days is the idea of no-cost EMIs. This is where your head comes into conflict with your heart. Your heart entices you to buy; after all you lose nothing in a no-cost EMI. At the same time, your head tells you that there is nothing like a free lunch in economics. So, where is the catch? The answer is to get a little deeper into what this concept of no-cost EMI or zero-cost EMI is all about. More importantly, let us understand how no-cost EMIs work. How is a no-cost EMI structured? If you had visited a retail outlet prior to 2013, you would have clearly seen 0% EMIs. However, the Reserve Bank of India (RBI) banned banks from offering 0% EMI scheme on retail products. That means no retailer or bank can offer an interest-free loan. So, retailers and financers have devised a way out by treating that as a no-cost EMI rather than as a 0% EMI. How does this work? Today, if you pay cash down to the dealer, they will give you a generous discount. 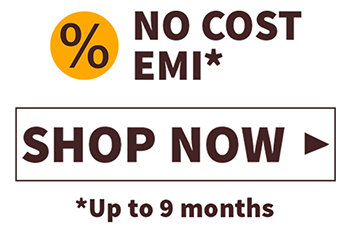 What happens in a no-cost EMI is that the bank takes away the discount? Assume that you purchase a washing machine for Rs30,000. The dealer is willing to offer you a discount of Rs1,500 if you are willing to pay Rs28,500 upfront. What the bank will do is it will fund the washing machine for you in the form of 12 EMIs of Rs2,500 each. Effectively, the bank gets the washing machine at Rs28,500 and you pay Rs30,000 to the bank. Hence, the dealer discount of Rs1,500 becomes the spread for the bank to fund your washing machine. Your bank will take back the discount in the form of interest. Normally, vendors either give an upfront discount to the bank or offer cashback to the bank equivalent to the interest. There are 3 main stakeholders in a no-cost EMI: the retailer, the bank, and the consumer. Here, the customer directly approaches the retailer (say, Croma or Vijay Sales) and bargains for a discount on the price. They bank or financer that has a tie-up with the retailer, offers to fund through no-cost EMIs. Effectively, the retailer gives the discount to the financer and the financer, in turn, splits the list price into equated instalments for a fixed period. Banks also offer the facility of co-branded credit cards, which can be used to avail this EMI facility. The financer will collect the post-dated cheques in advance, so any default from the customer’s side will result in penal charges and also have a negative impact on your CIBIL score. What are the pros and cons of opting for a no-cost EMI? The first thing you need to remember about no-cost EMIs is that they are not exactly no-cost. They entail a cost because as a consumer, you miss out on the discount which you could have otherwise got from the retail vendor and replaces the interest payment that you thought you had skipped. The discount is the spread earned by the bank or the financer in this case. Further, there are also taxes on these facilities, over and above the EMIs. No-cost EMIs are a sensible option in cases where the seller is able to pass on the cost savings to end consumers even after factoring in the bank’s spread/income. Thus, you can get a good discount even after accounting for the no-cost EMI charges. This might be the case with ecommerce players who are able to give huge discounts owing to the lack of brick-and-mortar set-up costs. When vendors or manufacturers want to push certain products out of their inventory due to a new launch, you can actually get the best deals even on no-cost EMIs. In such cases, they can be advantageous to you. Practically, it is neither better nor worse than any other loan product. In case you do not have the money to pay upfront, you can always opt for the no-cost EMI model. Just be clear that this facility does not come at zero-cost and implies a charge to you. When you opt for a no-cost EMI, remember two important things. First, you should not jump into the loan without evaluating your overall repayment capacity. Otherwise, you could end up in a financial jam. Secondly, even a no-cost EMI is a loan as per the CIBIL definition and impacts your credit rating accordingly. Long story short, there is nothing really wrong with a no-cost EMI when you are short on funds. Just be clear that there is a hidden cost to the deal.